FORUM PA is a company specialized in public relations and institutional communication. It was established in 2010 as a Istituto Mides srl subsidiary company, that’s specialized in the organization of exhibitions and meetings from 40 years. FORUM PA fosters meetings and debates among public administration, companies and citizens about innovation themes through the creation of communities, studies researches, multimedia communication, events, meetings and training. The main activity of FORUM PA is the expo: from 27 years, FORUM PA is the point of reference for innovation and modernization in public administration. FORUM PA can be seen as a real partner for public administrations and for the most important market players, in particular for ICT companies, training and consulting organisms, that work with public administration for innovation projects. 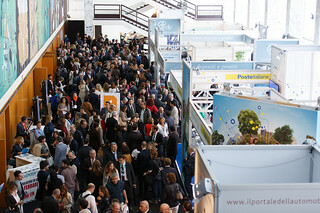 FORUM PA takes place each year in May at Fiera di Roma. Today, thanks to globalization, innovation trends go beyond national borders. In particular, all western countries, those that belong to OECD area, share a common aim: modernization to face socio-economical changes. FORUM PA wants to be an active player in this process and for this reason we look at international dimensions.